Sunday, December 27th saw the opening of Cica Ghost’s latest installation Roots. Like all of her installations, it is a beautifully fascinating piece; one which clearly draws on some of her earlier pieces, offering a new interpretation of them while at the same time presenting something that is both captivating and tinged with a soulfulness that is quite moving. Cica tells us, “The people have gone… the village remains, and time and nature now live here …” and so it is. Roots rise up from the ground and spring from gaunt trees, passing through empty windows to rise through roofs, while trees sprout new growth where once chimneys puffs the comforting smoke from fireplaces, and the fences alongside the paths broken and bent. Sitting under s sombre sky, the little village slowly surrenders itself to nature, quietly decaying and fading. Even the bright flowers have been mostly replaced by poppies, the flower so often associated with sacrifice and death. However, this shouldn’t be taken to mean all is dark and foreboding here. There is a melancholy beauty within Roots which has to be seen to be appreciated. There is something also Burton-esque in its construction that tugs at the heart; walking through the village, it is hard not to be captivated and enthralled. And when you do, you’ll come across other touches echoing Cica’s earlier works. A face peeking around the window of one house hints at Strings, while a strong echo of Dreamers can be found in the form of sculpted heads; a suggestion that what we are seeing is but a dream, or simply decorative pieces left with the rest of the village? Should you wish, you can also take the air, balloons float, hover, drift and bob their way around the village, and you can hop a ride on them. Whether you float via balloon, walk (or do both), do be sure to have the audio stream on as well; the music does much to complement the installation, helping to enhance one’s feelings and response to the build. I make no secret of my admiration for Cica’s work; her imagery, her use of motifs, her presentation and the joy she brings to her art always captivates me. At the same time, she can often challenge our thinking or our perceptions as she tells a story through her work. Roots is another wonderful piece, and one not to be missed. It’s also one I made sure I made time to film, having missed the opportunity with Prison and Strings. It’s time to kick-off another short week of story-telling in voice, brought to our virtual lives by the staff and volunteers at the Seanchai Library, as we move from Christmas to New Year celebrations. As always, all times SLT, and events are held at the Library’s Second Life home at Bradley University, unless otherwise indicated. A new original story by Caledonia at Magicland Park. 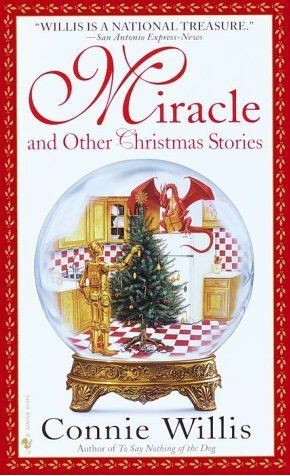 Trolley Trollop continues to read from Connie Willis’ miracle and Other Christmas Stories, bringing us Epiphany, the final tale in the book. A Christian minister has an epiphany about the Second Coming of Christ, which leads him onto a journey of his own. He is accompanied by an atheist and a retired English teacher; an unlikely trio of wise men who walk snow-covered streets, following their own signs and wonders, and gaining insights into their faith (or lack of it) along the way in a moving tale which discusses faith without ever proselytising. In a special 75-minutes session, Caledonia Skytower reads from M.J. McGalliard’s collection of short stories rife with absurd (though not “blasphemous”) humour related to saints, and some of the more circuitous doings of the Catholic Church. To make things easier, I’m once again breaking thing down into three parts, this section look through the months of May through August. You can find January through April here; September to December will be following soon. At the end of April, the Lab put out a blog post reminding people of their Second Life Affiliate Programme, something I caught at the start of May. This is the programme allowing SL users to associate a sign-up link to Second Life in their own website, blogs, social media channel, etc., and earn a commission on new SL registrations (which meet set criteria) using that link. While not new, the blog post served as reminder that the programme is still running, and that LL are casting a wide net in their attempts to gain new users. July saw the Lab also launch resident-focused promo videos on YouTube. Following-up on comments made at the Meet the Lindens event at Sl12B in June, I put together a brief profile on Bjorn Laurin (Bjorn Linden), the Lab’s (then) new VP of Product overseeing both SL and “Project Sansar”. With the success of the Meet the Lindens event at SL12B (see below), the Lab invited users to ask the CEO via a forum thread in July. As a part of facing the media, Ebbe Altberg and Second Life appeared on the US TV series Dr Phil dealing with computer game addiction, showing to more beneficial side of engaging in computer games and, MMOs and immersive environments. May opened with a feedback meeting for the ongoing Viewer-Managed Marketplace beta. VMM suddenly moved with a jolt in July, with the start of the final run of automated listing migrations which came earlier than expected. This was completed in early August, when VMM was considered to be fully “live”. In May, those using Facebook were informed there would likely be problems in uploading SL images to that service as a result of Facebook taking time to convert to a new API, while at the end of that month, I tried-out the Lab’s New User Experience, which had been updated to make use of Experience Keys – at least on a basic level. Premium members saw their group limit raised to 60, then in August Concierge support was extended to all Premium members, before the surprise news came that VAT charges were dropped for Premium memberships, and the monthly subscription was modestly reduced. 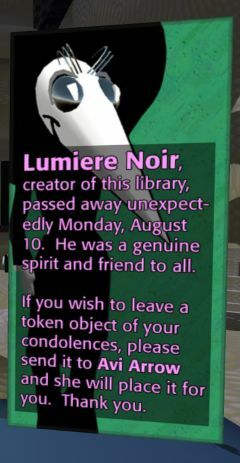 In June we got the news that there were no more updates or improvements being planned for my.secondlife.com (the Profile feeds), while to help those on Windows XP and versions of OS X older than 10.7, the Lab introduced the obsolete platforms viewer, which is still available at the end of 2015. Meanwhile, Avatar complexity and the graphics presets capability finally appeared in a project viewer. In July I took another look at the Experience Keys viewer, as it reached release status, and the Lab issued the notifications project viewer, while the Dolphin viewer bid a farewell. August saw the Lab acknowledged ongoing issues with land damage following changes they’d made, and promised to get things sorted. August also saw first word that validation checks on mesh uploads, etc., were to be more directly enforced server-side in the near future. The Virtual Pfaffenthal ramped-up in July to offer a look into a pivotal period of Luxembourg’s history, linking the physical world and the virtual in the process, a story Drax was able to cover brilliantly in the October Drax Files World Makers. After the loss of SL Go at the end of April, Bright Canopy reached the end of a very rapid, but well-planned and managed development cycle, and launched at the end of August. During the end of April / beginning of May, speculation was mounting that “Sansar” might be the name of the Lab’s new platform for virtual experiences. I dropped a line to the Lab on the subject as I wrote about the speculation, asking them about both “Project Sansar” and “Sansar”, and on May 5th they replied to me and confirmed via Twitter that “Project Sansar” was an interim code-name for the new platform. Ebbe Altberg talked “Project Sansar” at the 2nd Silicon Valley Virtual Reality (SVVR) conference, providing more insight into the platform and some of the Lab’s views on the challenges they face. He also talked “Sansar” to Bloomberg in June. “Sansar” also featured during Ebbe Altberg’s conversation at the SL12B Meet the Lindens event, for which I provided a transcript, and also summarised the comments made about “Sansar” during Troy and Danger Linden’s conversation at their Meet the Lindens event, and from recent media reports. In an attempt to separate wheat from chaff, I presented the first in a semi-regular series, The Sansar Summary, focusing on what had been said about the new platform, rather than looking at rumours and speculation. Meanwhile, in August, Ebbe sat down with a glass of red wine for a fireside chat with Upload VR’s Nick Ochoa to discuss SL and “Sansar” in a conversation uploaded to YouTube. And while it may have been slightly later than planned, the Lab finally announced the “Sansar” closed alpha was officially under-way in August.